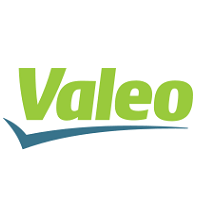 Valeo Recruitment 2018 scheduled for the role of Engineer & Intern vacancies for B.E/B.Tech/M.E/M.Tech graduates at Chennai Office. The detailed eligibility criteria and application process are given in below. UG or PG, Professional Education. 1-3 Years Relevant Technical expertise. To execute the technical activities at GISOCC level. retrieve the data from intern. technical/Project co-ordination perspective for the projects assigned. perspective with Quality and On-Time Delivery, Solution Center Project closed with agreed deadline for the projects assigned. How to apply for Valeo Recruitment? Interested and Eligible candidates can apply for this position by the following link. Interested and Eligible candidates can apply for this position by the following link as soon as possible.